Travel insurance should never be an afterthought. It offers peace of mind and protection against the unexpected, whether it’s a medical emergency, lost luggage, an unforeseen weather calamity or worse. The best travel insurance is there to cover you when things go wrong on your trips. Believe us, you never know when something might come up. The thing about travel insurance is, shopping around for it can be tricky. There are plenty of travel insurance companies out there, and each one is slightly different from the next. Depending on your individual needs, you’ll need to pick a company and a plan that offers just what you need. Get the coverage you need by comparing the top 5 best travel insurance companies. Generali offers the most comprehensive packages when it comes to the money you spend and the deductibles. 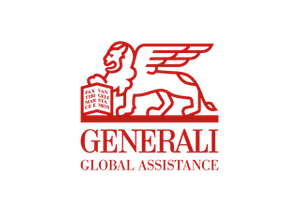 Out of all of the travel insurance companies, Generali has some of the highest payouts. They offer three different packages: standard, preferred and premium, and all of these have relatively high payouts. Opting for the standard package will give you a maximum of $150,000 in medical and dental coverage and $250,000 in emergency medical transportation costs. With the premium package, you will be covered up to $1,000,000, which is one of the highest payouts in the industry for the same prices as other companies. Emergency cash: If you’re pressed for cash, you can receive an emergency cash advance up to $500. Large payouts: Out of all of the travel companies, Generali has some of the highest payouts. Phone medical consultations: Need to talk to a doctor? Generali offers over the phone medical consultation with U.S. based doctors so you can get a second opinion. Not as much family coverage: Your children are not covered for free with any Generali plan. Pre-existing conditions may not be covered: Should you need it, the pre-existing medical condition waiver is only available at the premium level. Travelex is one of the most flexible travel insurance companies you could choose because of the different packages they offer and the unique features of each. Travelex splits their plans into two tiers: travel insurance, and flight insurance plans. Everyone is unique and has different concerns based on their individual or familial needs. With Travelex, you have the option of choosing the level of coverage based on what means most to you. Worried about flight cancellation? Choose one of the two flight cancellation plans, which are the accident-only coverage options. In need of medical coverage while abroad? With the Travel Basic or Travel Select, you have medical and dental coverage as well as trip cancellation insurance. Family options: All of your kids under 17 years old are fully covered for free with all of Travelex’s packages. Helpful add-ons: Travelex has several add-ons, including extensive adventure sports coverage. Pre-existing conditions can be covered: Almost all plans offer coverage if you have a pre-existing medical condition. Plans aren’t adjustable: You’re locked into your plan once you leave. The plans are unadjustable once you’re abroad. Some options are only available on expensive plans: If you want to add the “Cancel for Any Reason” option, you can only do it at the Premium level. Seven Corners is best known for their excellent international medical coverage. This company provides curated coverage for students, missionaries and medical tourism travelers. Seven Corners is a great option for those who want to make sure their expensive medical bills abroad will be covered should anything happen. This makes Seven Corners a great option for anyone who is a student traveling, studying or working abroad. Seven Corners plans rank high in both affordability and coverage. It’s great for anyone who may be worried about any parasites and diseases they may encounter while traveling around the world. Accidental death and dismemberment coverage: This important coverage is available at every level of coverage. Plans available for lots of people: Seven Corner’s plans are available to both U.S. and non-U.S. citizens. Students plans: There are several specialized student plans available to choose from. Pre-existing conditions are not covered: The basic plan doesn’t cover you. You’d need to purchase the more expensive plan. Traveling with the whole family can be hard as it is. Choosing a location and activities that are great for the whole family can be tedious and stressful. What is even harder about traveling with a family is the cost, especially if you have several children. 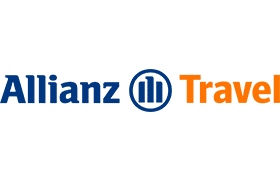 If you’re traveling with your family, Allianz should be your top choice because of their comprehensive plans that won’t break the bank. Once you purchase a plan with Allianz, your children under 17 will be covered for free. This takes off a huge amount of cost when it comes to covering your family and can offer you peace of mind. You can enjoy your vacation with your loved ones without worrying. Families are covered: Children and your grandchildren are covered for free with an Allianz plan. Pre-existing conditions are covered: You can sign a pre-existing medical waiver for any Allianz plan. Extra coverage options are limited: If you’re looking for coverage for extra sports or equipment, the options are slim. Plans cannot be extended: Your travel insurance plan cannot be extended while you’re already abroad. No traveler is created equal, and it’s important for a travel insurance company to take that into consideration. Not everyone is going on vacation to a resort for 5 days in a beach town. Therefore, a good travel insurance package should reflect that. Some people are adventurous travelers, frequent and/or spontaneous travelers, and they may need specific coverage for that. Let’s say you’re a backpacker and not really sure where you’re going or when your travels will end. World Nomads offers you the option to extend coverage while you’re already abroad. This feature is pretty unheard of in the travel insurance world. Additionally, if you are planning to partake in any extreme adventure sports, World Nomads has plans that cover you in the case of an accident. World Nomads is great for adventure junkies who live life on the edge. These insurance plans make sure you are covered while you’re off enjoying your adventures. Coverage can be extended: World Nomads is one of the few companies that allow you to extend your coverage while you’re already abroad. Excellent sports coverage: World Nomads also has the most extensive list of extreme sports and equipment coverage on the market. Age cap: World Nomad caters to young travelers. Therefore, this company has an age cap of 70 years old. Low payouts: For the basic plans, the payout limits are pretty low compared to other companies. When you really think about it, travel insurance seems like a great idea. Having your trip covered in the case of an emergency is responsible and could save you tons of money. So why is it that only 21% of Americans actually buy travel insurance when booking their flights? Studies show that a mere 78% of Americans don’t ensure their trips because of several reasons. Most people think travel insurance companies are confusing, time-consuming and costly. But once you check out our reviews on the best travel insurance companies, this step should be much easier. The bottom line is, you need travel insurance because you never know what could go wrong. Most things are unfortunately out of your control, and when they do go wrong, it has to come out of your own pocket. Instead of taking the risk and not protecting your trip, choose the right travel insurance plan for you today and save yourself a world of trouble. There are several real-life cases where having travel insurance has come in handy. Sometimes the situations are much more common than you think. Not everything has to do with an emergency medical situation, sometimes it can be as simple as having a flight delay. For example when Jeri of Temecula, CA, lost one night of hotel lodging when her flight was delayed. Luckily she was able to file a claim with Allianz and get a full refund of the first night stay in the hotel. She just had to scan the flight info and copy of the bill to get refunded. Without the travel insurance, she would have lost that money due to a circumstance that was out of her control. Sometimes things come up that prevent us from traveling. Life happens, and we never know when an emergency medical situation may cause trip cancellation. That was just the case with a Travelex customer named Greg from Cleveland, Ohio. His father needed to go to the hospital for an emergency operation. After Greg got the doctor to fill out a form, Greg was reimbursed through Travelex. Had he not been insured, all of the money spent on the flights and reservations would have gone down the drain. As you can see, travel is risky business when it comes to losing money. It’s always better to be safe than sorry. Travel insurance can come in handy when you most need it. 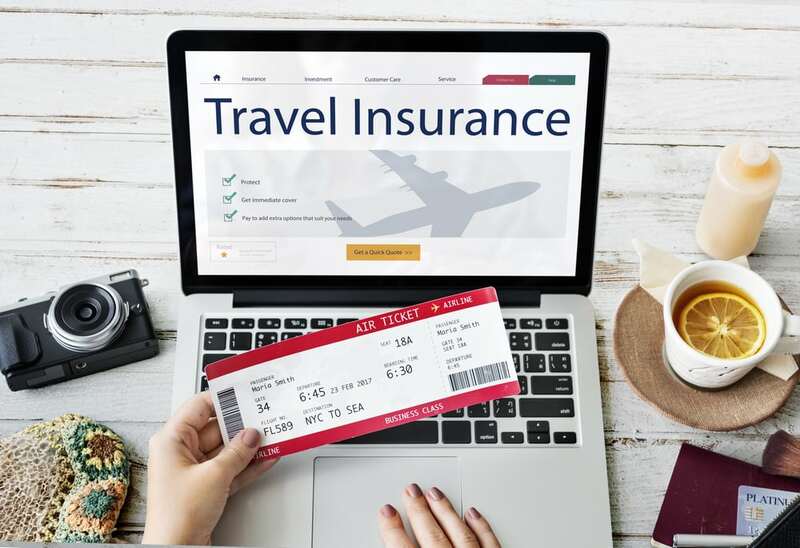 While the main travel insurance coverage components for most plans are trip cancellation or interruption, emergency medical coverage and lost baggage, travel insurance can cover much more. Plans vary, so you can get as minimal or as in-depth coverage as you need. Travel insurance companies vary, as do their policies. Choose a company and policy that best fits your needs. There are five main travel insurance components, each offering different types of coverage. The majority of people who book travel insurance are covering their overseas trips. While most travel insurance companies do cover domestic travel, flying internationally is even more of a reason to get a coverage plan. International flights are more expensive, and some countries have greater health risks than the US. A standard travel insurance plan will cover the costs of any loss of money due to flight cancellations and delays. You can also count on being covered in any country that you travel to but double check beforehand as this may vary company to company. Like we said, life happens. Sometimes it happens at the most unfortunate times, like right before a huge trip that you’ve spent a lot of money on. With travel insurance, if you have to cancel your trip for a variety of reasons, you can count of full reimbursement for non-refundable purchases made. The most important thing to keep in mind with trip cancellation is that these covered reasons vary by provider. Trip cancellation coverage provides reimbursement for non-refundable purchases should your trip be canceled or interrupted due to injury, illness or a variety of other reasons (these reasons vary by provider). If you need to cancel a trip to due to unexpected injury or illness, a trip cancellation package will reimburse you of any financial losses. However, any cancellations due to medical purposes need proper documentation. You cannot simply call your insurance company and ask them to reimburse you because you have the flu. You will need to visit a doctor and, similar to grade school, have a doctor’s note. Otherwise, you risk having your travel insurance claim rejected. Some travel insurance providers have a special cancel for any reason feature that will reimburse you for your trip’s costs for whatever reason you choose. This is great for any inconveniences that fall outside of the reasons mentioned above. Insurance providers like Travelex provide the cancel for any reason option available in some of their plans. Baggage coverage provides reimbursement should your luggage get lost, stolen or damaged. Some plans also cover replacement needs for items such as toiletries and clothing should your bags be delayed. Depending on the company, you may be reimbursed for any purchases made in the case of baggage delay. So, if your bags arrive later than you and you are forced to buy emergency purchases, companies like Allianz will reimburse you up to $200. In the world of travel, something like this is unfortunately common, so having this peace of mind is important. One of the most important coverages out there is the cost of your medical bills should anything happen. Paying medical bills out of pocket in any country is extremely costly, and not everyone has medical coverage that extends overseas. It is important to be covered in case something goes wrong. Whether you have a pre-existing condition that may require emergency attention on your travels or you just want to be safe on an adventurous trip, getting a travel insurance plan with medical coverage is extremely useful. Medical coverage provides payment for emergency medical care should you get hurt or sick while traveling. Plans vary, and different companies offer different maximum coverage amounts. In addition to emergency care, medical coverage typically provides emergency evacuation. In addition to your primary medical coverage for any doctors visits you may need, you will also be covered in case of more serious medical issues. If your medical issue is life-threatening and requires you to be evacuated in an ambulance or even transported back home, your bills will be covered up to a certain amount of money, depending on your plan. Check with your service provider to see exactly how much is covered, because some plans offer more support than others do. It is important to note that when you’re shopping around for travel insurance, the coverage cap is something that you should pay attention to. Most companies offer a variety of plans ranging from the “bare-bones coverage” to high payout ultimate coverage. Some bare-bones plans do not offer things like evacuation coverage or cancel for any reason features, and some do not extend their medical coverage to pre-existing conditions. What Exactly Can You Get Reimbursed? Travel insurance companies usually will reimburse any non-refundable reservations made during your trip. That could include flight costs, hotel reservations and other prepaid reservations during your stay. The cancellation due to illness also can cover relatives in your family, even if they aren’t traveling. Check with your insurance provider to see if your relatives and children are covered under this policy. So, you’ve finally decided to do what’s best for you and get travel insurance, but now you’re faced with choosing between the plethora of companies. Comparing different brands is essential to finding the insurance that will work for you. The most important step is finding a plan that fits your needs. We recommend checking out our series of travel insurance reviews where you can compare some of the best travel insurance companies out there. On our review page, you can find a breakdown of the best and worst things about each company. Let’s say you’re looking for an option that includes coverage of pre-existing conditions for you and your family. Our thorough reviews can point you in the right direction for whatever it is you’re looking for. Once you read up on all of the benefits and offerings of each company, you can then make your choice and be directed from our site to the insurance providers website. To get a quote, the website typically requires you to enter the following data. The cost of your travel insurance coverage depends on the number of days you will need coverage for. It’s best to book travel insurance once your travel dates are finalized and the plane tickets are purchased. Most insurance companies usually will charge you for changes. Other companies don’t let you change the dates that you need coverage. So, to avoid any extra fees or the risk of having no coverage, finalize this beforehand. Like most other types of insurance, the cost of your coverage highly depends on the age of the traveler(s). When you’re looking to get a quote for your trip, your age and the ages of the members of your family matter. For example, if you are traveling with a family and kids under 17, the children are covered for free with a lot of insurance companies. This means your children will be covered under your policy should anything happen to them on your trip. By checking out our reviews, you can find out which companies offer this great family incentive. On the other hand, many travel insurance companies prices do increase depending on your age. This is especially important if you are ages 65 and older. At these ages, travel insurance can become more expensive. Some companies, like World Nomads, are catered towards young travelers, particularly those under the age of 30. If you’re around 40 and above, you may want to avoid this company so you don’t spend a fortune. For people who are older, companies like Seven Corners have plans specifically designed for seniors that make plans more affordable. The total trip cost is the cost of all of the non-refundable parts of the trip including flights. Apart from the flights, if you’ve purchased any extra parts for your trip you can factor that into the total cost of your trip. Let’s say you’re headed on a trip to Venice for the summer. In order to avoid lines, you’ve gone ahead and booked your gondola rides and city tours ahead of time. These packages aren’t refundable, so you would factor that into the total trip cost. This goes along with pre-purchased transportation and hotel costs as well. Enter the correct trip amount so your rates can be adjusted accordingly. Make sure that the place or places you’re traveling to are under the travel insurance companies’ range. If not, find a company that offers coverage for that location. The destination is also an important factor for your travel quote because of weather and even the possible activities that you’ll be doing there. For example, if you’re headed to a ski trip in the Alps, you need a good trip cancellation policy in your package to account for weather or other unforeseeable circumstances. The number one tip for purchasing travel insurance is making sure to purchase it shortly after you’ve booked your flights. 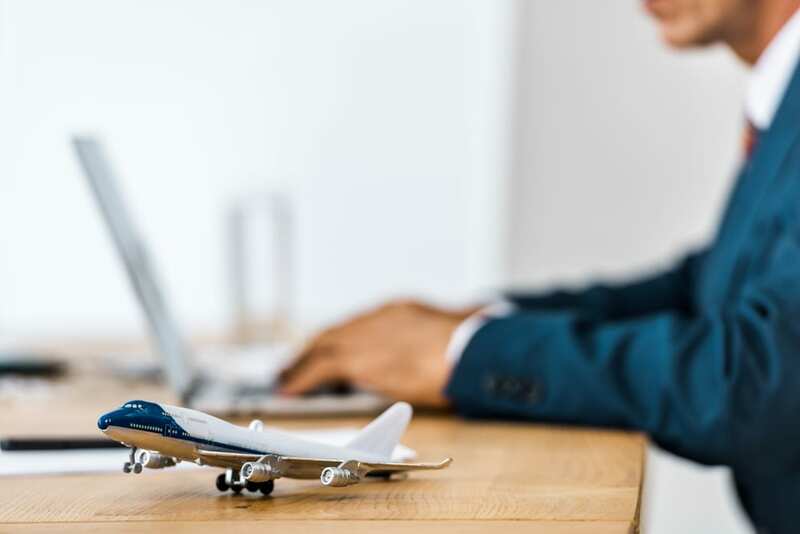 A lot of travel insurance companies only let you insure your trip within a certain amount of time after you’ve bought your flights and its always best to get insured as soon as possible. Buying early means that you will have time to make any necessary adjustments if any complications come up. Even though an astounding more than 90% of claims are successful, there is still a chance, although a small one, that your claim can be rejected. To avoid this type of unexpected frustration, file your claim correctly. This includes providing all of the proper documents. Depending on the provider, your claim filing process can range anywhere from simple to a bit more complicated. A lot of travel insurance companies allow you to easily access your account and submit documents online, making this process fairly simple. Some companies even have a free mobile app so you can keep track of your documents while you’re on the go. Familiarize yourself with the company’s terms and conditions and the filing process ahead of time to avoid any headaches. Your claim may be rejected because of any of the following issues. The biggest rule in filing a claim is to make sure that you have every official document to support your claims. When it comes to reimbursement of purchases, that means keep every single receipt. Yes, every single one. A travel insurance company cannot properly refund you for something they don’t have any proof of. Also, sometimes bank statements aren’t enough to prove anything. 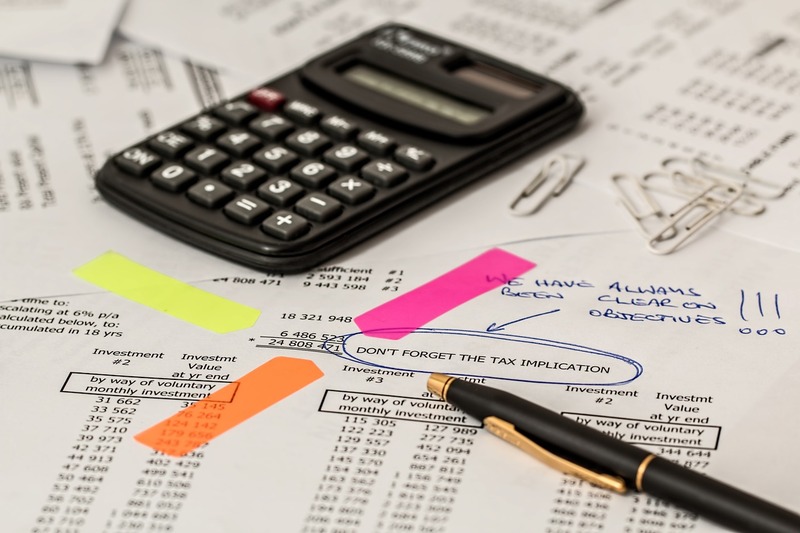 If your insurance claim is rejected because of missing documentation, this could make your process drag on and prolong the amount of time it takes to get reimbursed. Avoid this by making sure you properly download and file your claims the first time. Another huge reason why it’s important to check the terms and conditions of filing a claim is that some companies do not allow you to purchase travel insurance within a certain time frame. While World Nomads allows you to purchase a package even while you’re on your trip, do not expect this to be the case for all companies. Most companies have a specific time period that makes your claim eligible. Unfortunately, in most cases, a few days before you leave is too soon. Also, purchasing a package because of a bad weather report or some type of threat will also make filing your claim cumbersome, and most likely will result in a rejection. Similar to how to no two companies are created the same, two plans, even within the same company are not usually created the same. Familiarize yourself with your plan and exactly what is covered because you don’t want any unexpected rejections. So if you opt for a more bare-bones, basic package, it may not cover pre-existing conditions or offer a baggage delay reimbursement. If you want the highest amount of coverage and payout limits, choose a plan that offers you plenty of options, flexibility and high payouts. When an emergency does happen while you’re traveling, after taking the necessary emergency procedures, the next step is to call your travel insurance customer hotline. Each company’s policy vastly varies, so the next steps will be a bit different from each. For example, if you get an emergency cash advance with your policy like Generali, contact your provider as soon as possible to get help. The convenient thing about the best travel insurance companies is that reliable customer service hotlines are typically open 24/7. 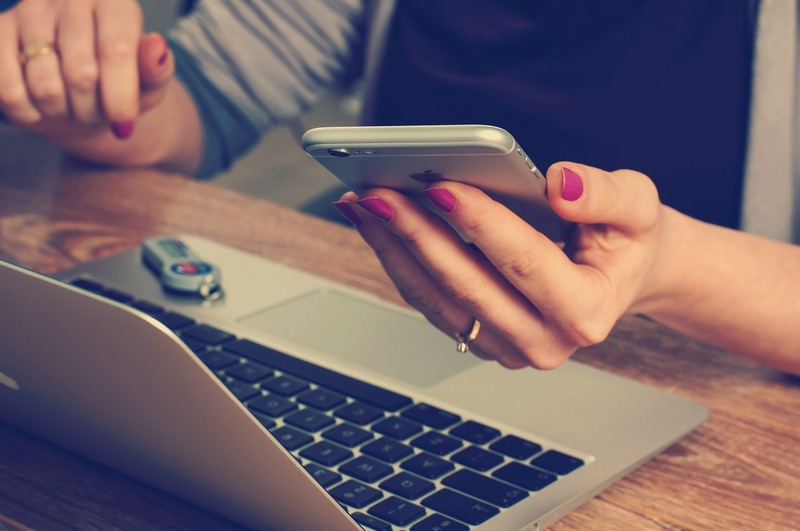 Hotlines are typically also available in multiple languages and can even offer medical consulting via phone to reassure you during your emergency. While some people might not think they need travel insurance, we strongly recommend it. The best travel insurance companies can give you peace of mind and save you lots of money should anything happen that influences your travel plans. To learn more about travel insurance, browse the reviews of our top 5 travel insurance options.